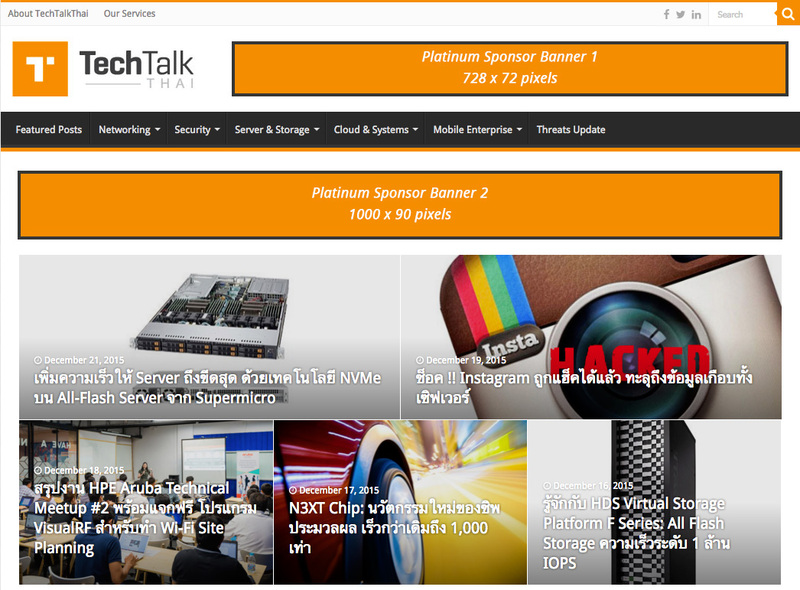 TechTalkThai is one of the top online IT media website in Thailand, and also one of the most widely followed. Our mission is to be the comprehensive source of IT news and knowledge, and make it easily accessible to Thai people. We publish articles about enterprise IT and new technology updates written in or translated to Thai. Our range of topics covers from networking, security, cloud computing, data center, mobile enterprise, to server & storage areas. We also publish articles from academic conferences and papers, such as quantum cryptography, IEEE 802.11ac, threats & vulnerabilities, for instance. There are currently more than 6,000 news pieces published on our website. You can access TechTalkThai’s news and articles through three main channels: the TechTalkThai’s website, our official Facebook page, and e-newsletters. 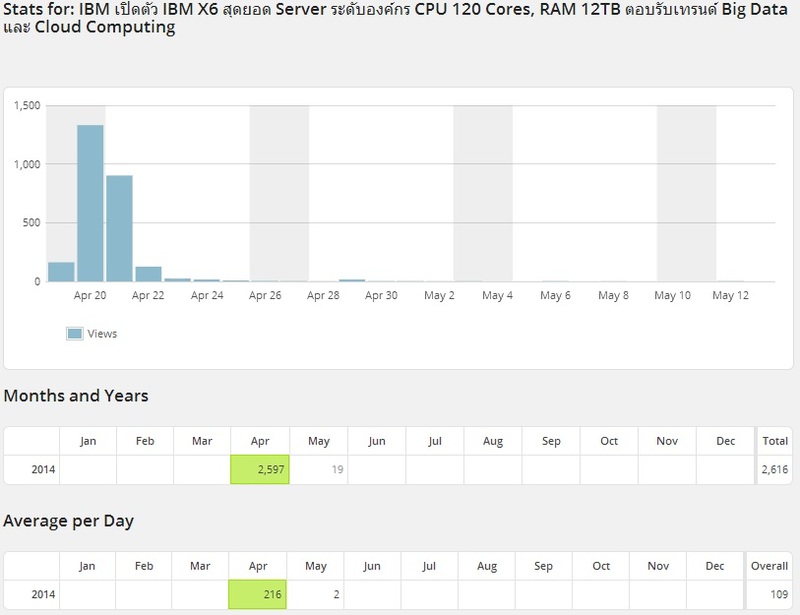 The TechTalkThai’s official website has averaged over 250,000 visits monthly. Our Facebook page has over 70,000 followers, with a reach to more than 1,500,000 viewers monthly, and more than 3,900 subscribers to our website’s e-newsletters. Apart from publishing IT news, updates on new technology, and introducing IT solutions, we also offer various services related to enterprise IT like marketing, products and services solutions. We offer to publish enterprise IT-related articles (unlimited length) about solution overviews, product reviews, case studies, post-event coverages etc. via our channels (official TechTalkThai website, Facebook page, and e-newsletters). The finished article in Thai will be provided by the client. The client can attach additional information about their company, which may include, but not limited to, company name, logo, e-mail, and telephone number. TechTalkThai reserves the right to edit some parts of the content – such as proper use of language, grammar and technical terms – to ensure that the article is appropriate for publication on our website. Post boosting feature will be applied on our Facebook channel, so that the article can reach a wider audience. The client still owns complete copyright to the article. The client can publish their articles through other channels without having to notify TechTalkThai in advance. In the case of re-publication by TechTalkThai, full credits to the client will be provided at the end of the article. 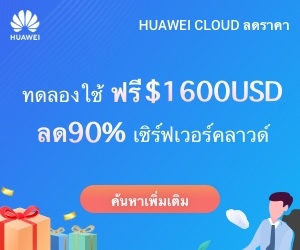 The article will be on the “Featured post” on the home page of TechTalkThai website for one week minimum, until it is replaced by another featured article. The article will be stored permanently on the TechTalkThai database. 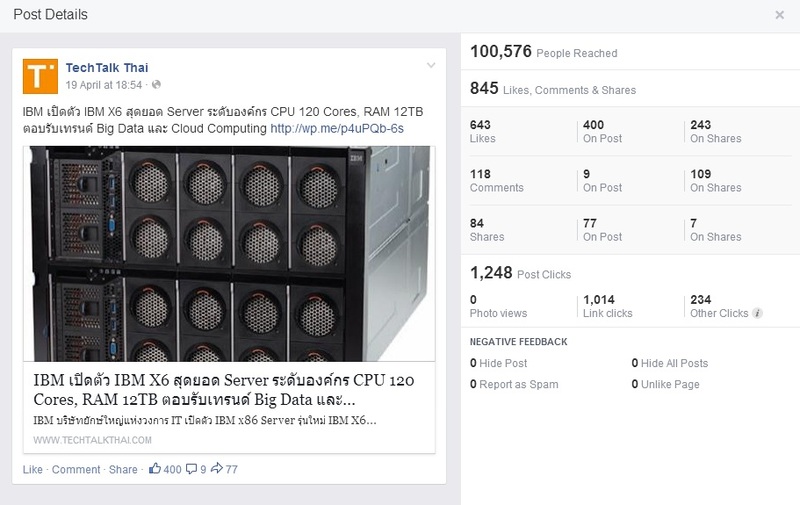 Facebook stats: 100,000+ reaches and 800+ likes, shares, and comments. We offer the service to write enterprise IT-related articles in Thai (unlimited length) about solution overviews, product reviews, case studies, post-event coverages etc. without limitation of the length and the number of images. The topic and relevant information to be included in the article, such as presentations, data sheets and white papers, will be provided by the client. After finishing the first draft, the article will be submitted to the client for revision and feedback. The client still owns complete copyright to the finished article. The client can publish their finished articles through other channels without having to notify TechTalkThai in advance. In the case of re-publication by TechTalkThai, full credits to the client will be provided at the end of the article. This service is also available in conjunction with the publication service, should the client be interested in publishing the finished article on TechTalkThai channels. Tech Talk Thai offers the facility to organize a meet-up (based in Thailand) for up to 50 people for new product/solution launches, or training programs. Arrange for a suitable facility for the meet-up according to the specified requirements, catering is optional. 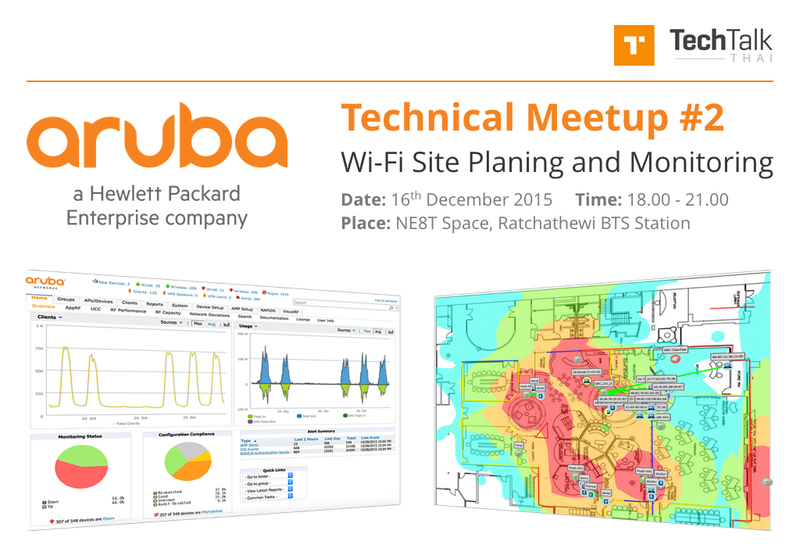 TechTalkThai can provide one of our expert staff as guest speaker at the meet-up. 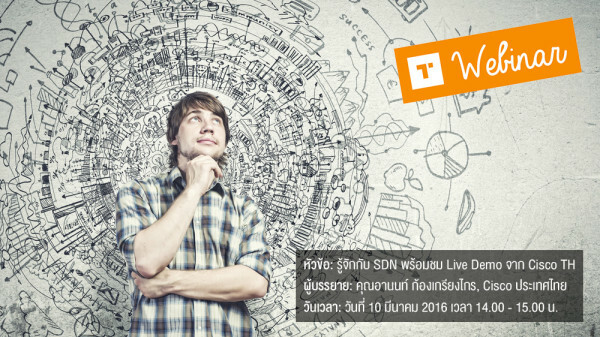 TechTalkThai offers our webinar platform – our own conference channel for online seminars – to advertise your products and IT solutions, or engage viewers with updates on new enterprise IT trends and technology. 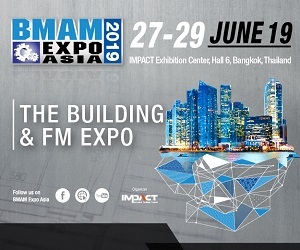 TechTalkThai’s services include writing articles, inviting target clients to the conference, administering registration process, and recording videos. TechTalkThai offers professional English-to-Thai translation of documents related to enterprise IT, such as data sheets, tech notes, solution briefs, and white papers. TechTalkThai offers to create Thai subtitles for enterprise IT-related videos about product reviews, solution overviews, case studies, and interviews. The video must be in English. 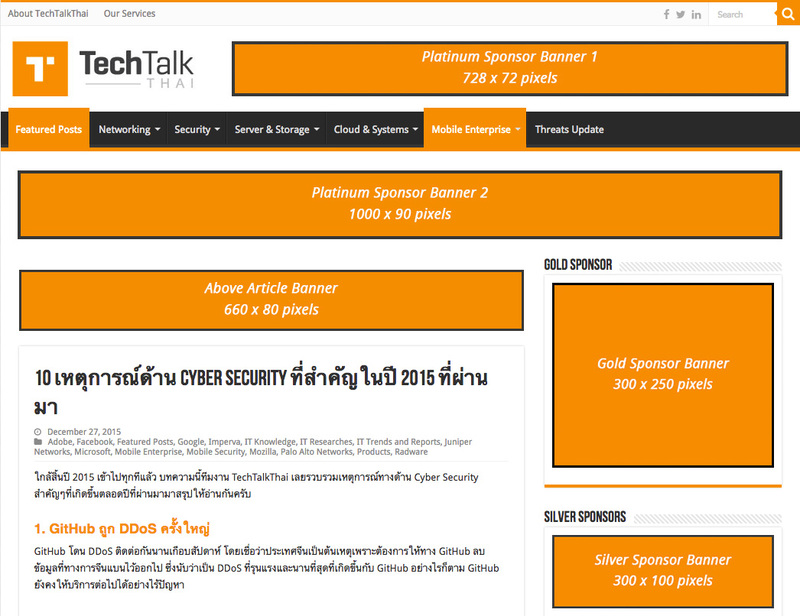 TechTalkThai offers a variety of sponsor banners for companies to build brand awareness and advertising on our official page. Banner layout is carefully organized to enable viewers to conveniently browse and read through articles while seeing banners on display at the same time. One 728 x 72p banner displayed on every page of the website, beside the TechTalkThai logo. One 1000 x 90p banner displayed on every page of the website, below the menu bar. Two 300 x 250p banners on every page of the website. 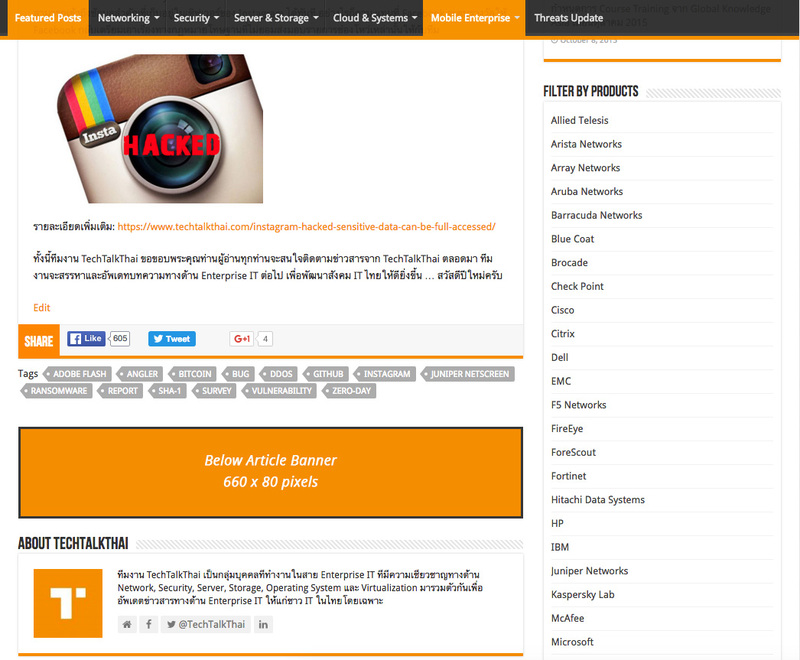 Eight 300 x 100p banners displayed on every page of the website. One 660 x 120p banner displayed below every article page (except the home page). 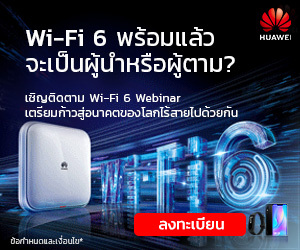 This is recommended for targeting regular readers of TechTalkThai website. TechTalkThai offers to post job advertisement related to enterprise IT on both our official website and our Facebook page. The maximum number of positions on offer is three, the time window is unlimited. 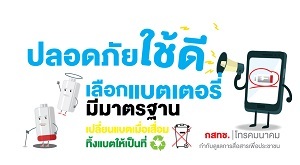 ** TechTalkThai reserves the right to alter service conditions without prior notifications. The latest updates of terms and conditions will be posted at www.techtalkthai.com/services. Please contact the TechTalkThai team for more details.